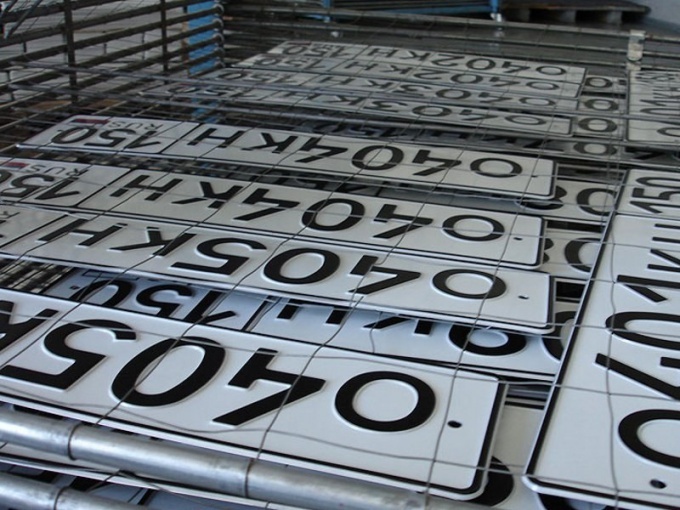 According to the rules of registration of motor vehicles, trailers, approved by order of the Ministry of internal Affairs of Russia for number 59 dated 27.01.03. the room can be changed in the traffic police at the place of registration of the vehicle. To change the number, you need to submit a number of documents stipulated by these rules. - receipt of payment for the issuance of the rooms. Please contact the traffic police, if the state registration number is damaged, lost or does not correspond to GOST 50577-02. Write a statement about the new number, enter the reason why you want to change the state number. If the room is damaged and not suitable for further use, for example because of an accident, you must present the old registration number of the vehicle, your passport, the certificate on the right to drive a motor vehicle. Also you are required to submit the insurance policy, certificate of state vehicle registration, title, proof of payment for the issuance of new public rooms. If you lose rooms that happens very often, write a statement about the loss of rooms and specify when, where and how it happened. The statement about loss has a unified form. His form will give you to the police. In addition to these documents you will need to provide a receipt of payment for inspection of the vehicle by the authorized traffic officer and to come on the automobile for direct inspection. On the basis of a submitted application with the specified cause, the documents provided by the law, you will be given other public rooms. Duplicate existing or lost number you to can not, therefore, you will be given a completely different room. If you bought the car and put it on the registration account, you have the right to write a statement about the change of the state rooms. If you expressed a desire not, you will still leave the rooms, which was the seller of the car. If the owner of the car is not able to refer personally to the traffic police and to the state numbers, then for him it can make a notary Trustee, as the power of attorney allows you to make any actions to put the signature of his principal.